The best for your weekend trip – the new KLIM Carlsbad Combi! The Carlsbad Combi has been designed with the aim of maximising comfort and mobility and reducing weight while maintaining the protection factor! 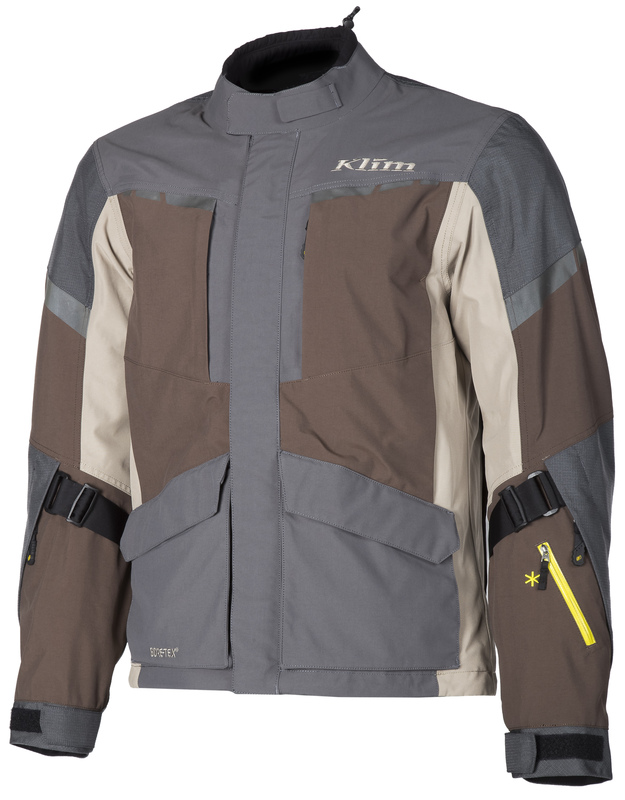 As with all KLIM products, the Carlsbad Combi relies on GORE-TEX® laminate. Durable, breathable and hard-wearing, with no additional volume! "GUARANTEED TO KEEP YOU DRY®” effective ventilation – reliable weather protection! Moisture can escape while the body remains dry. Permanent protection against water and wind, including outstanding breathability! A fully equipped combi with ventilation and sufficient cargo capacity: 6 pockets on the jacket and 2 on the trousers. Reinforced with 500 Denier Cordura® ripstop on the abrasion zones – a great material to provide low weight, sensational mobility and first-rate protection! The Carlsbad offers a good fit without stress! The black 3M ™ SCOTCHLITE ™ reflective materials increase visibility in poor lighting conditions and – in combination with level 2 certified D30® protectors (back, elbows and shoulders) – provide a comprehensive safety package! The KLIM Carlsbad jacket is available in 3 different colour models: black, grey and grey with brown elements (729,00 €). With trousers in black and grey (559,00 €). Extra for all Honda fans: a special edition in red-black! Collect unforgettable kilometres on your adventures with a reliable partner.